Our documented quality system is based on ISO guidelines, which we have used to design our production flow with in-line inspection and process control. 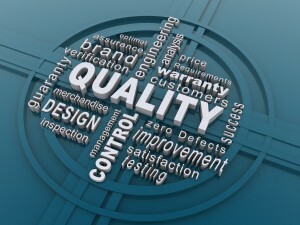 Typically, we do lot sampling for every product that we make as an added assurance of quality control. Additionally, we include 100% inspection and testing of membrane switch assemblies. All test and measuring equipment is checked and calibrated on a regular schedule. Employee training and refresher courses are held on a regular basis to insure a solid basis in the fundamentals of total quality management. Eclipse is a registered printer with Underwriters Laboratories, and authorized to print the UL mark on approved labels. 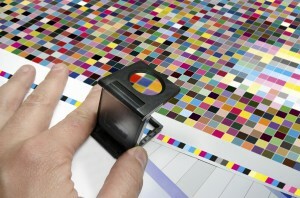 One of the most critical components for screen and digital printing is color matching. Our quality system is based on the LAB colorspace model, to insure a quantifiable color target that will meet our customers’ specifications. We use a spectrophotometer system for initial color matching, as well as doing in-process sample analysis to insure consistency within each production lot. Coordination of inspection methods both at our plant and the customer’s facility is key in making sure everyone is on the same page with color targets. Viewing angle, light source, viewing distance and many other factors can affect how each person “sees” color (and yes- men and women see color differently!). We know that part of a successful project is bringing in quality stakeholders early on in the project design phase, and keeping them plugged in through all phases of the development process. We look forward to working with your crew.